When you’re vacationing on the Brunswick Islands, it can be hard to figure out what to do first. Boasting miles of stunning shorelines, lots of attractions and activities, and plenty of shops and restaurants, this southern North Carolina region earns its reputation as one of the most all-encompassing beach vacation spots on the coastline. So start planning your upcoming vacation by ensuring these popular things to do are on your itinerary. From world class golf courses to stunning landscapes that truly shine at sunset, the Brunswick Islands offer miles of fun around every sandy corner. North Carolina is famed for its line of lighthouses along the coastline, and the Brunswick beach area has two iconic lighthouses that visitors can explore. The Oak Island Lighthouse is one of the newest lighthouses in the state, and is open for tours to the second floor of the structure in the summer season. The oldest lighthouse in North Carolina also calls the Brunswick County area home, and is situated in the heart of isolated Bald Head Island. 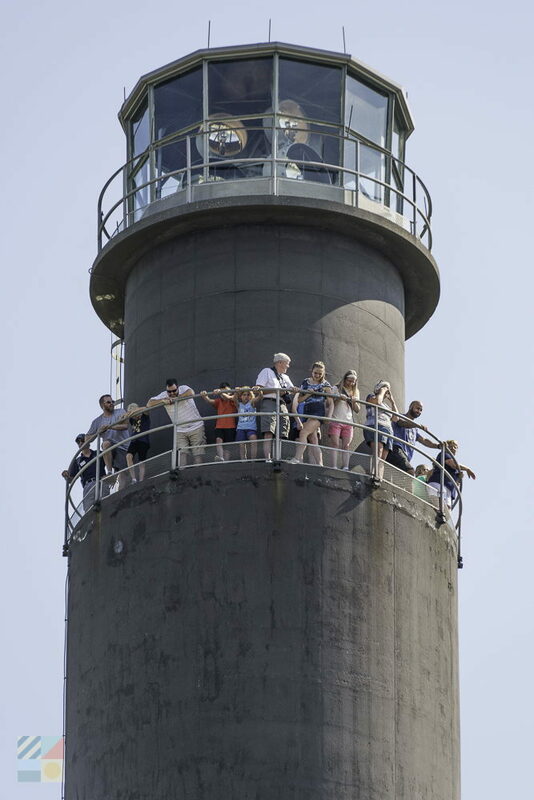 Known as “Old Baldy,” this 1817 lighthouse can also be explored by visitors who want to enjoy breathtaking views that span from the ocean to the Cape Fear River. Both beautiful and distinctive, the Brunswick Islands’ lighthouses are a must see for anyone who appreciates a bird’s eye perspective of the local landscape. Relax and take a break from the wheel by exploring the local terrain via ferry. 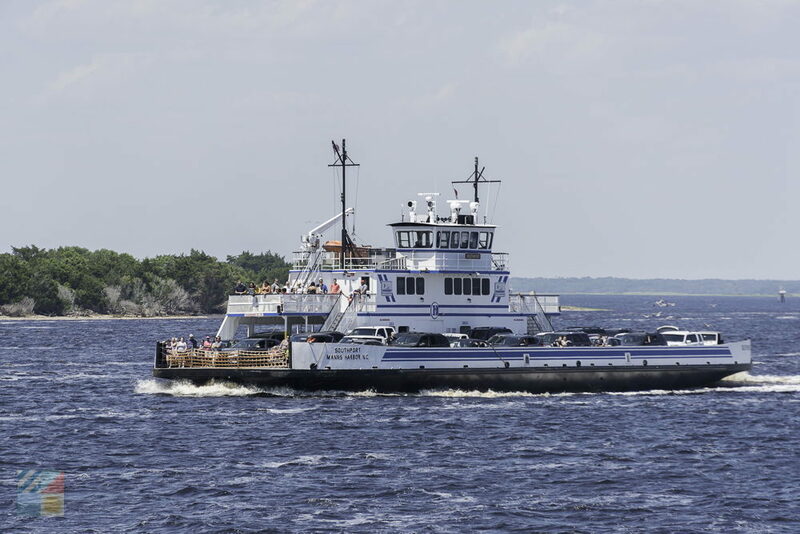 The North Carolina Department of Transportation has seven vehicular ferry routes in the state, which includes a ferry that connects Southport and picturesque Fort Fisher. Visitors who want to explore an isolated island can also reserve a spot on the Bald Head Island Passenger ferry, which crosses from the town of Southport to the popular vacation destination of Bald Head Island. Here, visitors can explore miles of beaches, visit the Old Baldy Lighthouse and museum, and enjoy a wild adventure at the Bald Head Woods Coastal Reserve. With NC ferries, the ride is half the fun, and travelers should expect plenty of incredible views and adventures along the way, regardless of their destination. Fishing is big on the Brunswick Islands, and for good reason. The warm waters are exceptional for a wide array of saltwater species that frequent both the Atlantic Ocean and the Intracoastal Waterway. 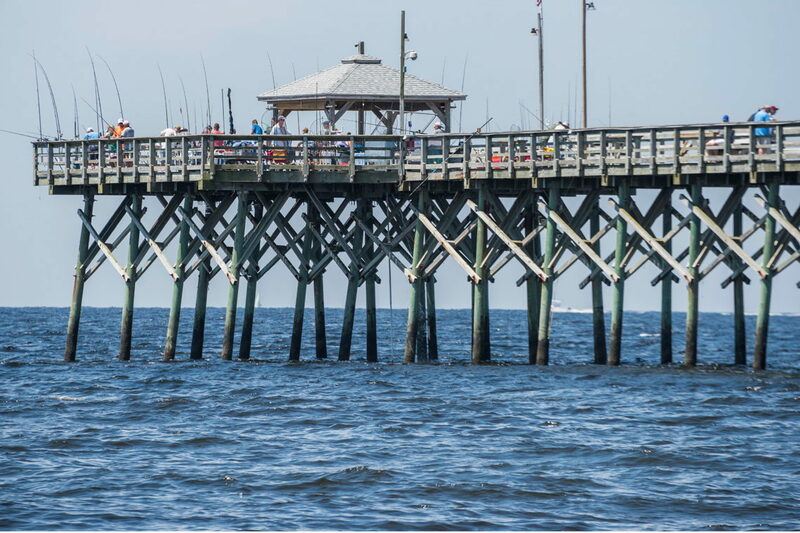 Anglers can enjoy long days and nights at the area’s three fishing piers: Sunset Beach Fishing Pier, Holden Beach Fishing Pier, and the Oak Island Pier, which are all popular destinations for casting a line. For a bigger adventure - and potentially bigger catches - fishermen can also easily reserve a half day or full day charter trip to reel in the large catches found in the offshore waters. 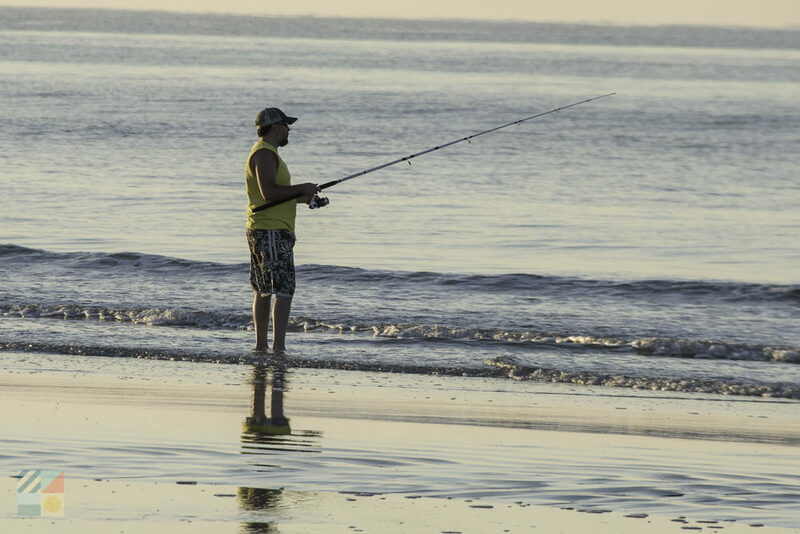 From casual beach fishing to full day charter expeditions, (with plenty of bait and tackle stores throughout the area), the Brunswick Islands are a dream destination for anglers. Explore the Brunswick Islands from an exciting new perspective by grabbing a board and hitting the water. The area’s beaches and waterways are ideal for a wide array of watersports, and the Brunswick Islands are a popular destination for surfing, kiteboarding, kayaking, windsurfing, and even stand-up paddleboarding. There are plenty of watersports shops on the area with equipment for sale or for rent, and visitors who are brand new to the scene can even schedule a lesson or class to learn the ropes of a new sport. With plenty of waves and watery terrain to go around, having an on-the-water adventure is a must for any visitor who appreciates a coastal point of view. There are roughly 30 acclaimed golf courses in the Brunswick Beaches area, which makes it a prime destination for golfers who want to spend their vacation time on the greens. Stay at one of the area’s many golf resorts, which are found in coveted vacation destinations like Oak Island or Sunset Beach, or simply reserve a few days to explore the courses that border the beaches. With challenging holes designed by golf’s greatest architects and designers, fantastic on-site amenities including clubhouses and stocked pro shops, and gorgeous scenery that veers from the Intracoastal Waterway to the Atlantic Ocean, golfing is truly at its best along the Brunswick Beaches. Toast another fabulous day on the beach with one of the Brunswick island’s most beloved and longest running natural shows. 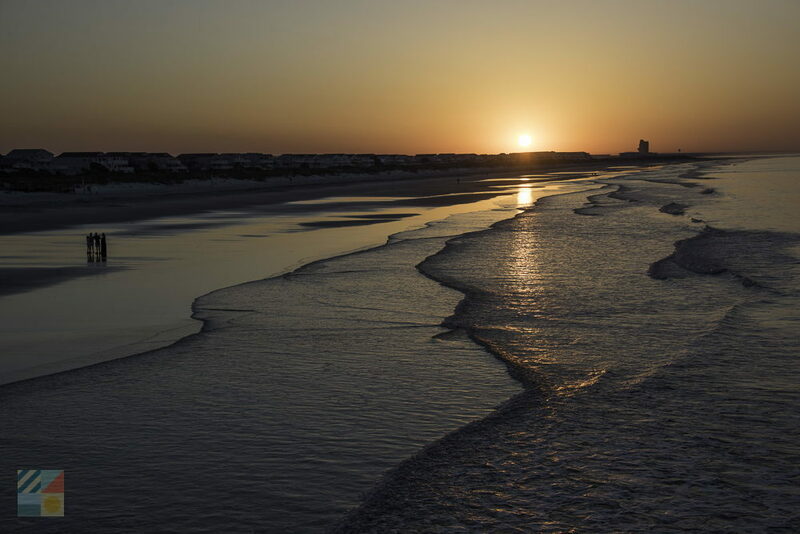 There’s a reason why the Brunswick Islands are home to communities such as “Sunset Beach,” and the nightly sunsets in this coastal region are simply unparalleled and worthy of celebration. Visitors will find ample waterfront venues to catch a sunset, which includes several rooftop bars or restaurants on the edge of the Intracoastal Waterway, and can also book a waterfront vacation rental or hotel room to enjoy a sunset every night of their vacation. Always a brilliant display, unwinding with a gorgeous sunset in the background is what life on the Brunswick Islands is all about. Pack along an appetite, and discover a world of down-home eats and fresh coastal fare for a vacation that is brimming with excellent taste. With a location that borders the Atlantic Ocean, the Intracoastal Waterway, and the Cape Fear River, the seafood selection along the Brunswick Islands is always mouthwatering, and visitors will find ample ways to enjoy the local coastal cuisine, thanks to a myriad of seafood restaurants and fish markets. There’s also plenty of southern flavors in the Brunswick area, with local staples such as eastern BBQ, salty beach burgers and fries, and world famous dishes like Brunswick Stew. Dozens of restaurants and eateries call the Brunswick Islands home, so be prepared to feast and explore all the unique flavors that this coastal community has to offer. From antique shops to outlet malls, the Brunswick Islands have it all when it comes to shopping. Start your explorations in the historic town of Southport, where modern boutiques and surf shops stand side-by-side with maritime antique stores and vintage shops. For fashion forward visitors, the nearby town of Shallotte on the North Carolina / South Carolina border is the place to go for dozens of name brands at deeply discounted prices. And everywhere in between, visitors will find a cool selection of beach stores, watersports shops, art galleries, craft boutiques, and more. From summertime sundresses to historic treasures, the Brunswick Islands are a dream for a distinctive shopping experience. The Brunswick area is one of the oldest regions in the state of North Carolina, and as a result, visitors will find that there’s centuries of history to uncover. 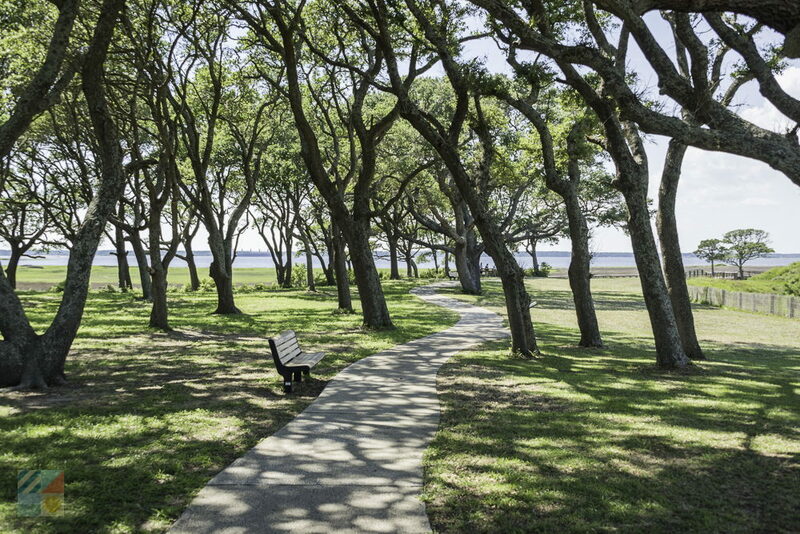 Start your trip back in time with a visit to the Fort Fisher Historic Site and historic Downtown Southport, or explore the roots of the local landscape with a tour of the Museum of North Carolina in Ocean Isle Beach or the Sunset Beach Swing Bridge & Museum. From military forts that helped shape the country’s future like Fort Anderson and Fort Fisher, to more unique landmarks like the Old Brunswick County Jail Museum, there are countless stories to discover with a historical exploration of Brunswick County. 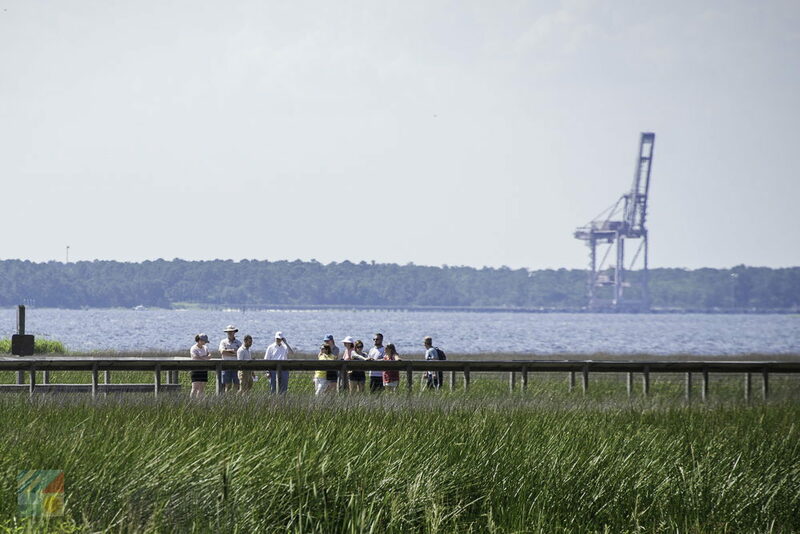 While the beaches are deservedly the star attraction of the Brunswick Islands, visitors who love to get back to nature will find plenty of opportunities to veer off the beaten path. Bird Island on Sunset Beach is a prime destination to explore the area’s wildlife along the shoreline, while inland destinations like the Boiling Spring Lakes Preserve, the Ev-Henwood Nature Preserve, and the Green Swamp Preserve are great spots for kayaking, birdwatching, and hiking adventures. For a truly unique experience, take the ferry to Bald Head Island to explore the Bald Head Island Conservancy and Woods – home to one of the largest examples of maritime forest in southern NC. 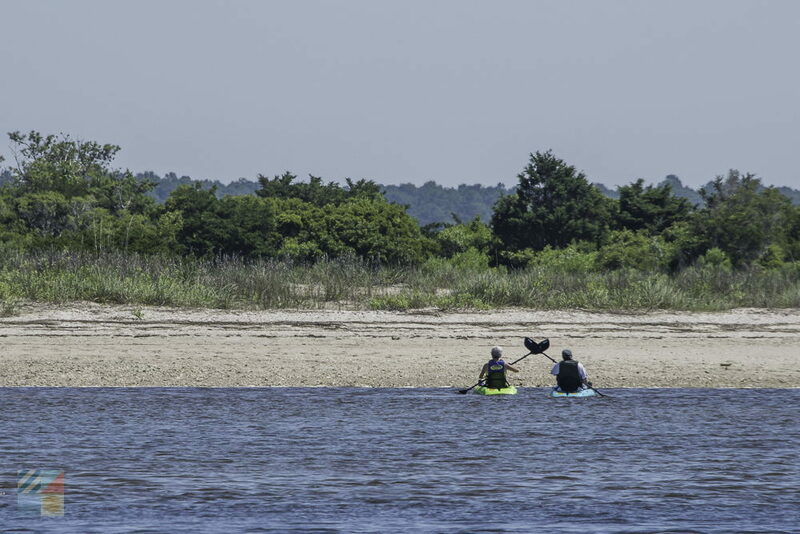 From nature trails that wind through the side streets of Oak Island, to hundreds of acres of undeveloped terrain found just off the coastline, the Brunswick Islands are perfect for wild adventures. There’s no shortage of things to do on the Brunswick Islands, and visitors of all tastes will find something to make their upcoming vacation sparkle. With world class golf, family-friendly beaches, ample watersports, and plenty of dining and shopping options, the Brunswick islands truly have it all when it comes to wonderfully fun vacation spots.